After three years under combat operations, the end of Iraq’s war against the Islamic State (ISIS) encourages the country’s reconstruction and economic reformation. As a result of healthy foreign international reserves, limited restrictions on cross-border fund transfers as well as an attractive legal framework that provides greater protection and incentives for foreign investors, investments in the country is expected to generate the highest rate of returns. With a population of nearly 40 million, Iraq is also emerging as one of the top consumer markets in the Middle East that primarily depends on imports. 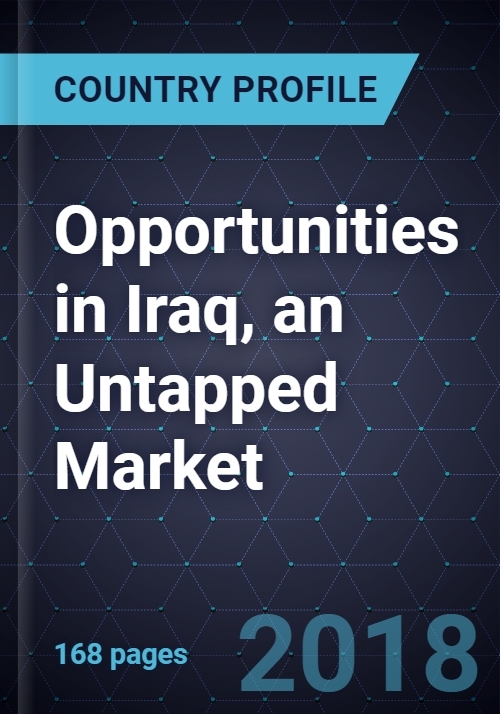 This recent study, Iraq’s Untapped Opportunities; Path to Investment Boom, highlights the growth potential in the following markets from 2018 to 2022 - Grains, Food & Beverages (8-10% CAGR), Pharmaceuticals (10-12% CAGR), Beauty and Personal Care (8-10% CAGR), Furniture and Homewares (5-6% CAGR), Footwear, Textile and Apparel (5-6% CAGR), Medical Devices (18-20% CAGR), Consumer Electronics (7-8% CAGR) and Plastic Products (9-10% CAGR).